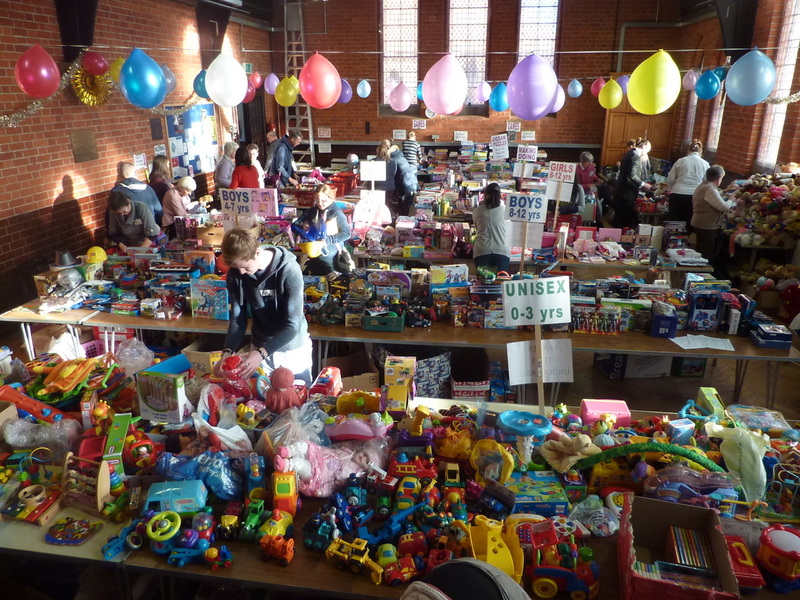 Toys & Teens Appeal 2014 - Thank you! 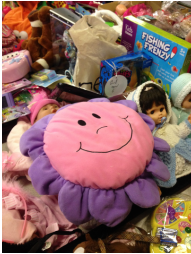 Thank you to everyone who volunteered and everyone who donated toys and gifts to our Toys & Teens Appeal in 2014. Once again you helped us collect toys and gifts for children aged 0-16 years, whose families do not have the means to give their children the Happy Christmas which more fortunate children enjoy. The Reading Chronicle are once again lent their support and helped us raise the profile of such a worthwhile cause. 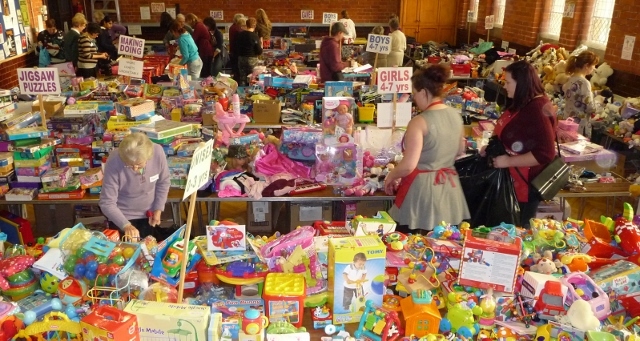 Thanks also go to our major appeal sponsors Big Yellow Self Storage, Waitrose Caversham, Austin Logistics, Rabbits Vehicle Hire, Interserve, Royal Bank of Scotland and JACK FM Berkshire. We couldn't do it without your help! Not forgetting many individual volunteers who gave up their time to help out, there were 130 of you in total and 14 van drivers who covered over 600 miles. Below are some pictures of the sorting process and our amazing volunteers - thank you! You can still help, by donating money on our ﻿Localgiving ﻿page﻿﻿, we are always raising money for our appeal and for ﻿summer outings﻿ that we arrange for families. 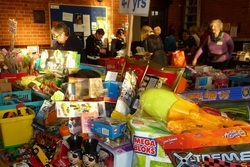 And you can also continue to donate toys all year round: please contact us and we will arrange a collection. Monday morning - The toys are unpacked and laid out. 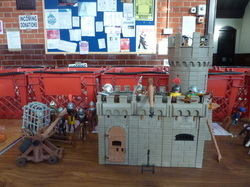 Our volunteers built this fort that was kindly donated to check it had all the pieces. This would have made a child's Christmas day. 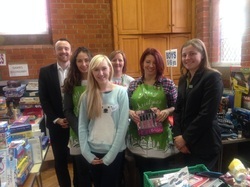 Waitrose in Caversham kindly "lent" us members of their staff to help. Thank you so much, we couldn't do this without you. 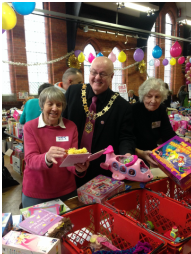 Tuesday morning and Reading Mayor, Councillor Tony Jones helps the team from Reading Family Aid to sort the toys. Councillor Tony Jones meeting the team behind the scenes who are ensuring that all the children are allocated toys and logistic are in place. A big thank you to all the volunteers featured in these photos, who helped distribute toys and gifts to over 1,500 Reading children in 2014.